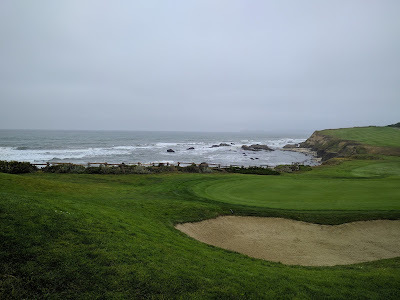 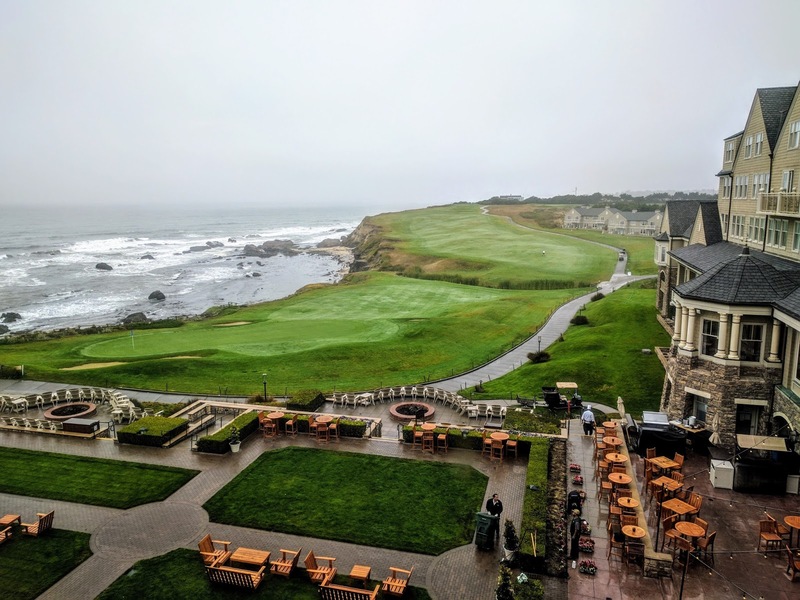 The Ritz Carlton Half Moon Bay is Northern California’s premier ocean-front resort with a jaw-dropping setting perched on a bluff above the Pacific Ocean and is only a 30 minute drive from San Francisco. The elegant luxury, yet resort casual, hotel is a destination in and of itself offering the very best in service, dining, golfing, amenities and activities. 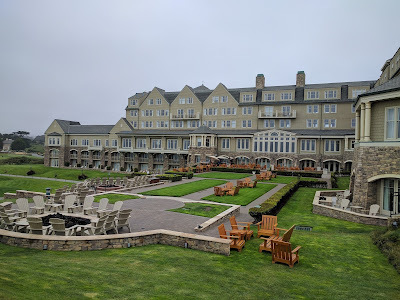 The shingle-style roof and hotel's weathered, wind-battered appearance evokes a nineteenth-century seaside lodge set on the coast of Scotland. 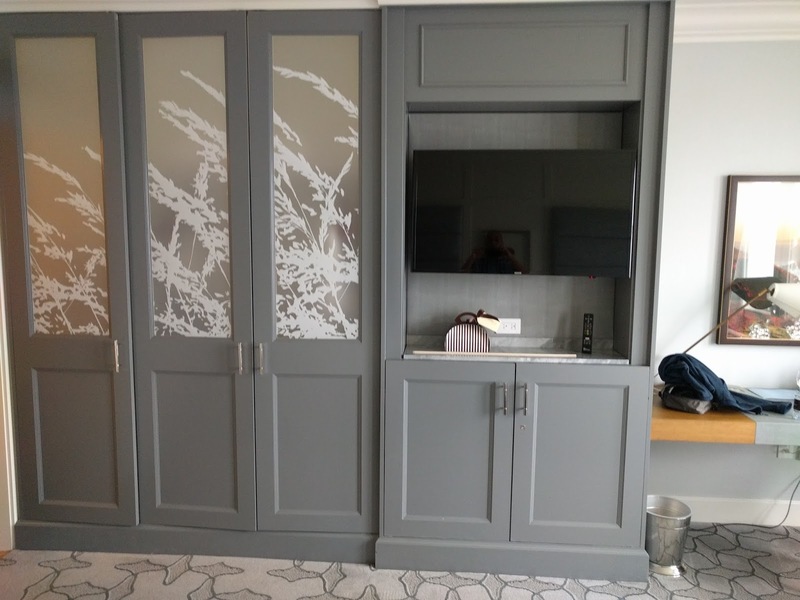 The interior decor showcases an ocean-inspired color palette of coastal blues and grays creating a tranquil, soothing atmosphere throughout the common areas and spacious guest rooms. 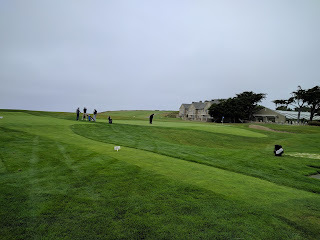 The Ritz Carlton Half Moon Bay is the only San Francisco Bay Area luxury ocean front resort hotel and features 261 guestrooms, a 16,000 square-foot spa, 36 holes of championship golf and wonderful amenities and activities perfect for families or a couples getaway. 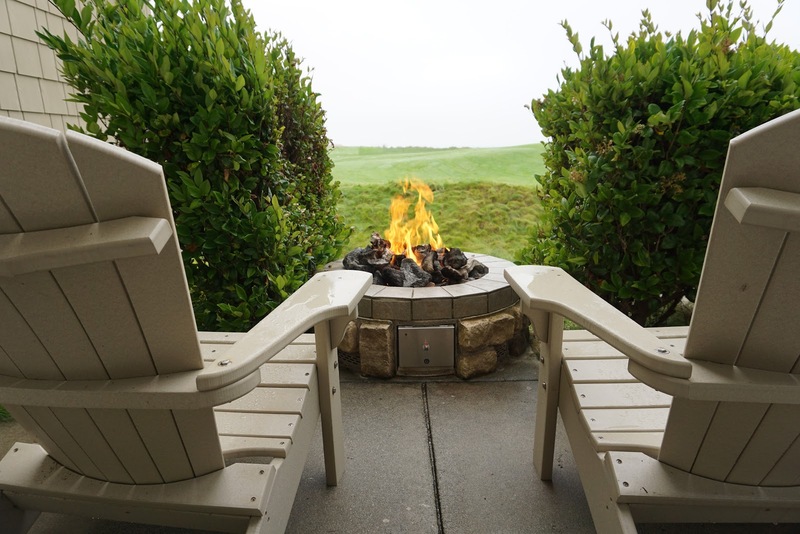 The spa and full-service salon draw inspiration from the beauty of the Northern California coast. 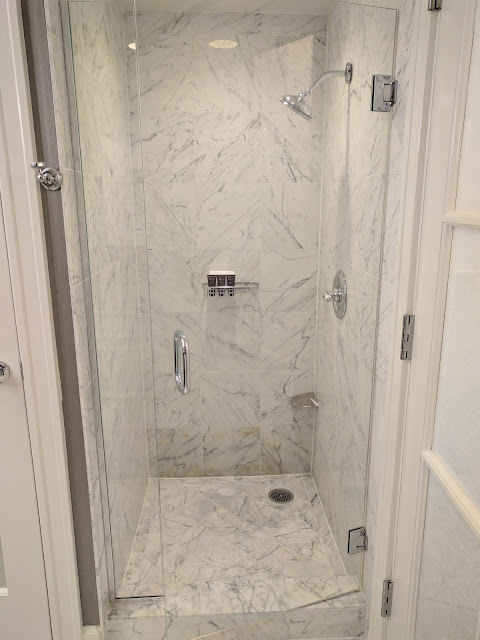 Among the 16 treatment rooms are two couple’s suites and a Vichy shower room. Signature treatments include the Matanzas Creek luxurious lavender body massage and ocean mist stone ritual. 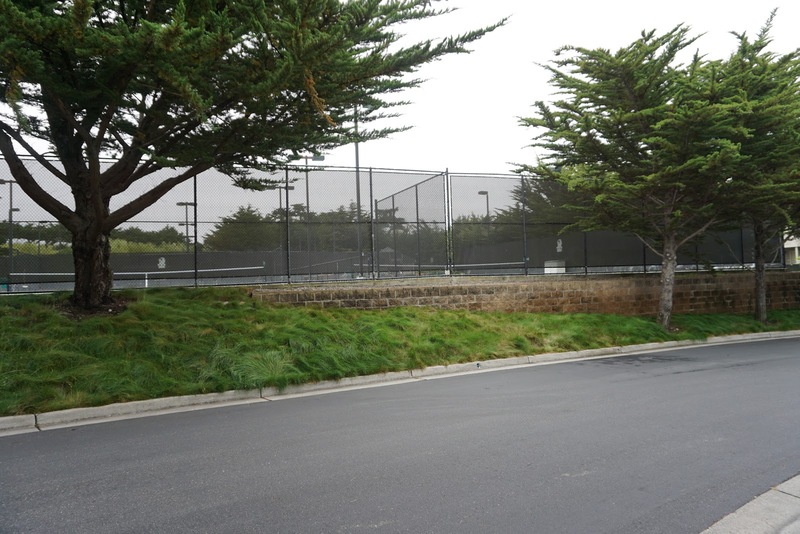 The 24-hour fitness center provides weight-training and cardio equipment, including Cybex treadmills and stair climbers. 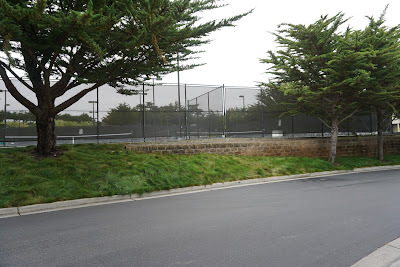 The daily resort fee includes daily group exercise classes as well as use of the six tennis courts and such amenities as rackets, balls, ball machine and private or group lessons with reservations. 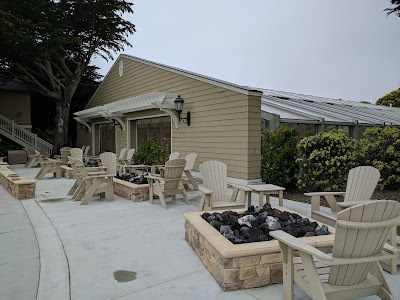 The heated indoor pool sets aside early morning hours for adult lap swim, then opens up for family use. Swim noodles and beach balls are available for pool play, as well as kick boards and buoys for adults participating in swim aerobics. 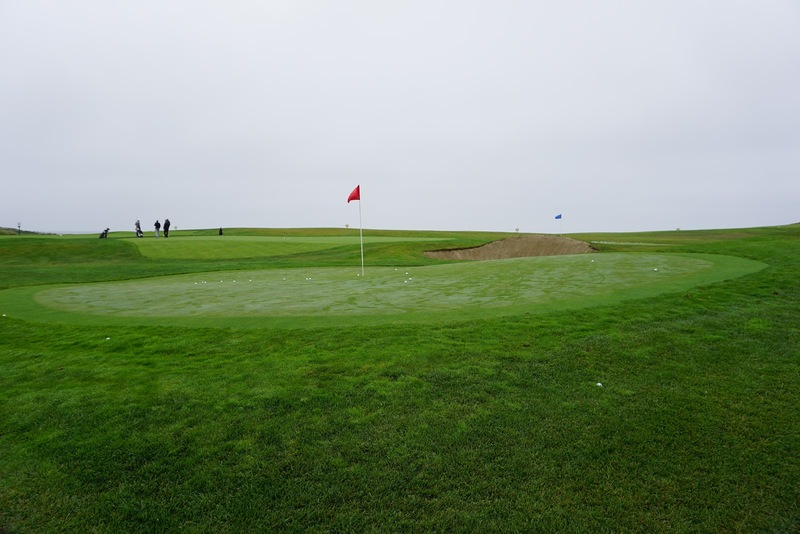 The resort is home to two championship 18-hole, par 72 courses. 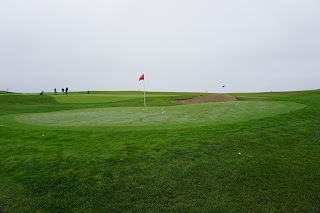 The Ocean Course was designed by Arthur Hills in a traditional Scottish style with prevailing ocean winds, tight fairways and knolls and Pacific ocean views from every hole. The Ritz Kids Day Program offers half- and full-day programs daily for children ages 5 to 12. 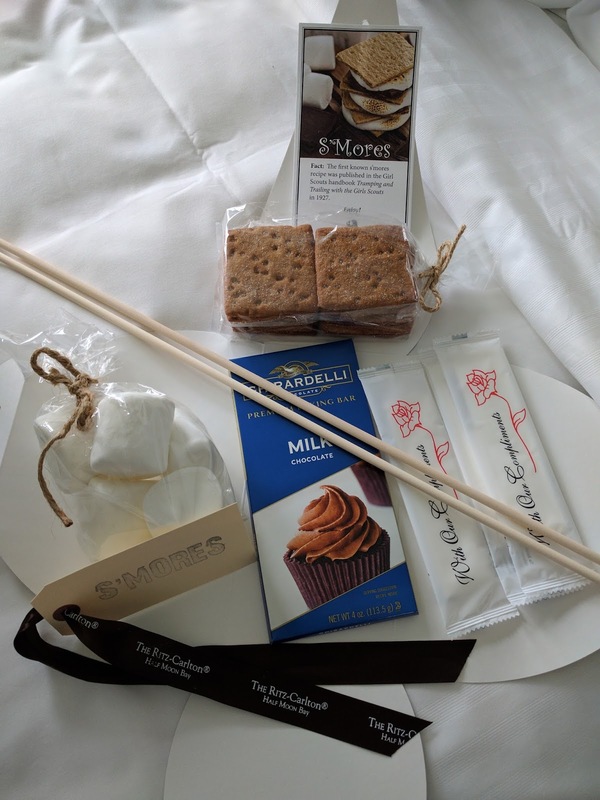 Activities include swimming at the pool, exploring the beach, arts and crafts and making s’mores. 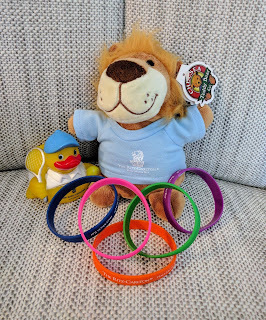 The Kids Night Out program provides supervised activities from 6 to 9 p.m. 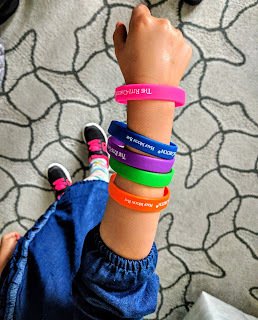 The VIK program (Very Important Kid) offers kids a chance to go on a scavenger hunt and collect wristbands along the way, leading up to a prize at check-out once you've completed all of the items. 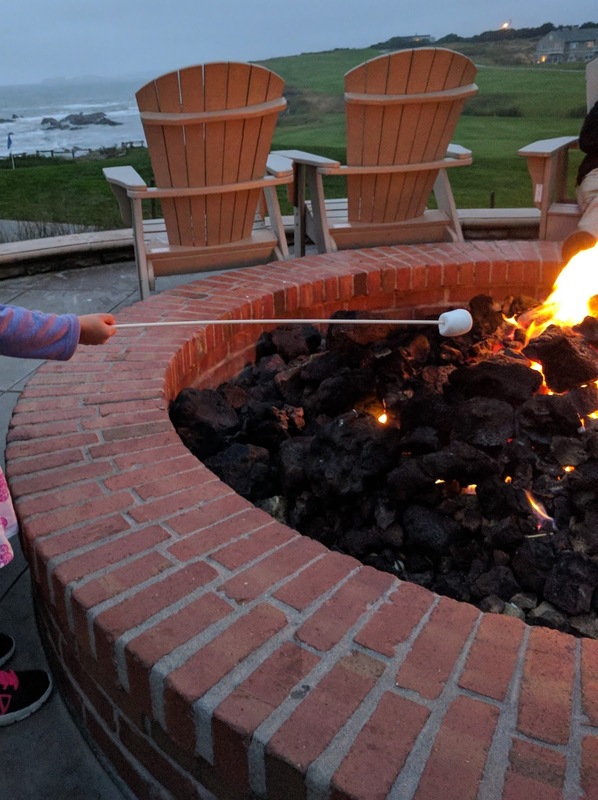 It's a great way for younger children to have fun and explore all the hotel has to offer. 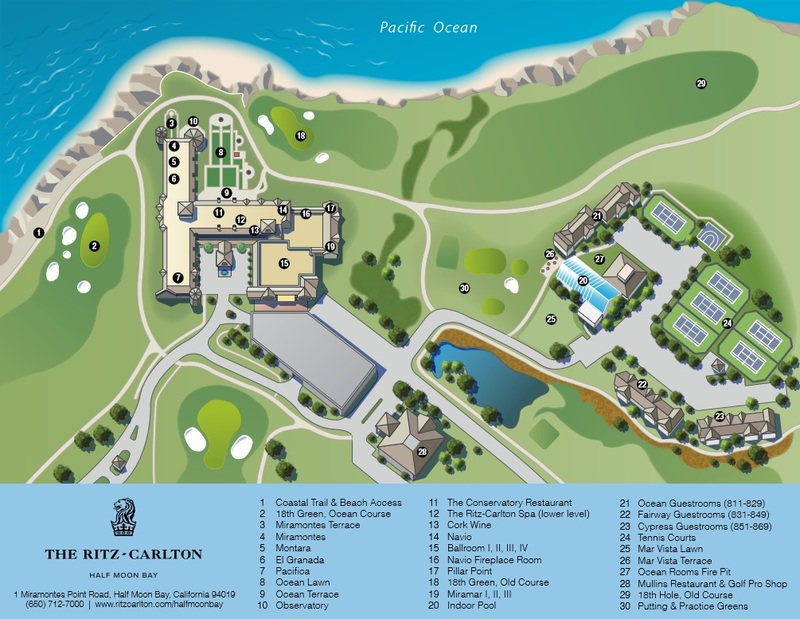 Note that there is also a $35 daily resort fee, valet parking costs $49, all of which you can read more about here. 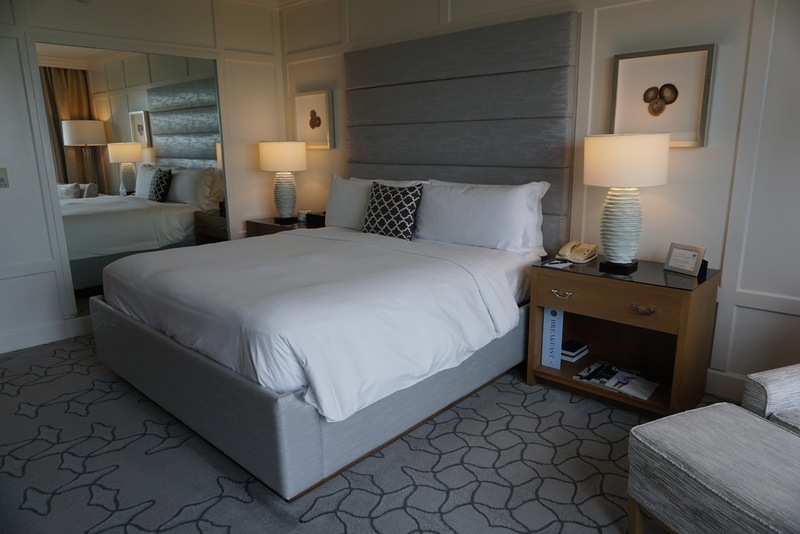 The ocean-inspired color palette of subtle blues and grays creates a tranquil, soothing atmosphere in the spacious guest rooms. 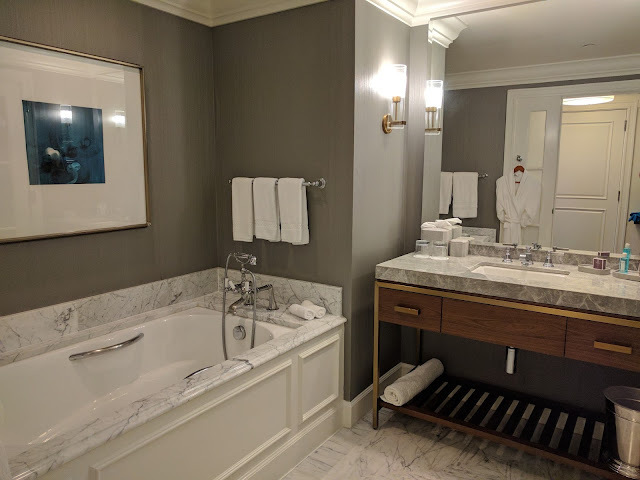 Duvets and 400-thread-count Egyptian sheets top the feather beds and the luxurious marble bathrooms feature a separate tub and rainforest shower, Asprey bath amenities and terry robes. 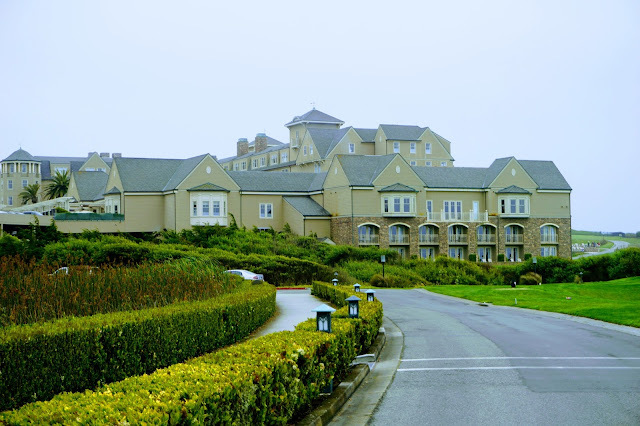 Main House: Easy access to the lobby, restaurants, spa, and the Ocean Lawn. Guest Houses: Just a short stroll away, a respite from the activity of the main building and additional privacy with access to the Mar Vista Lawn and fire pits, pool, golf course, and tennis courts. 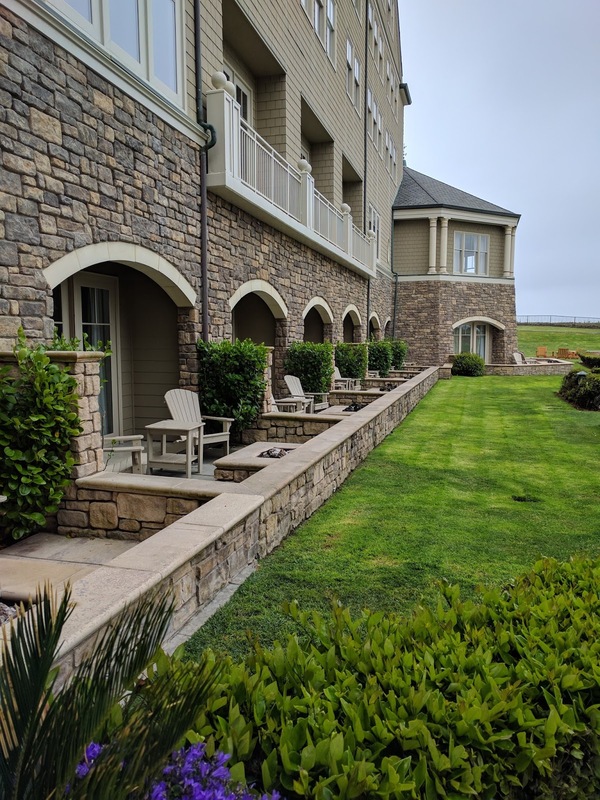 Room choices range from Courtyard Views, Coastal Views, Ocean Views and Ocean Front rooms and suites, with some also offering fire pits right outside your door. 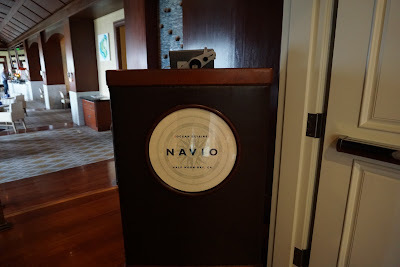 Navio - Ocean inspired cuisine crafted with farm-fresh ingredients. 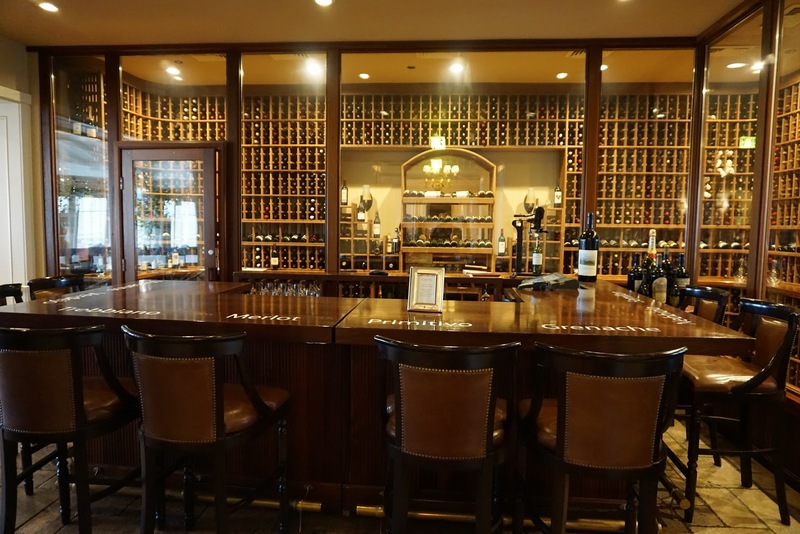 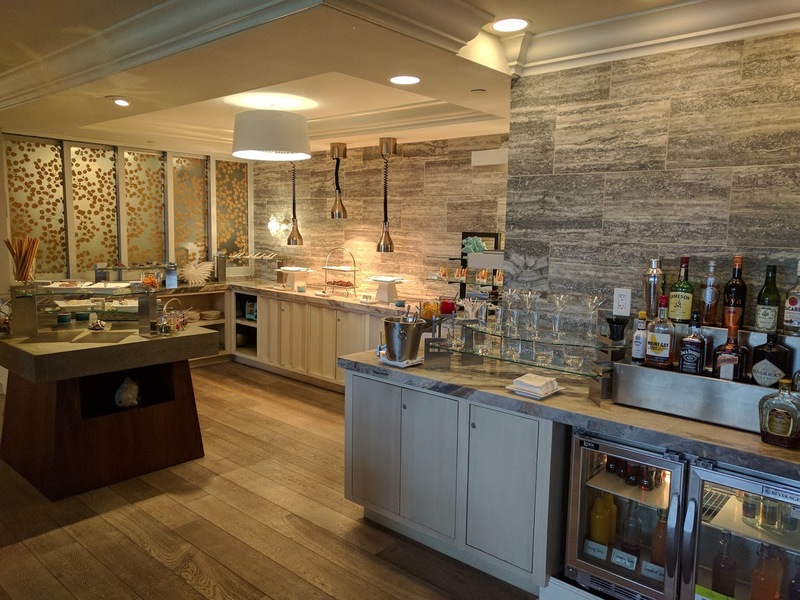 Serves breakfast daily, dinner and offers a weekend brunch. 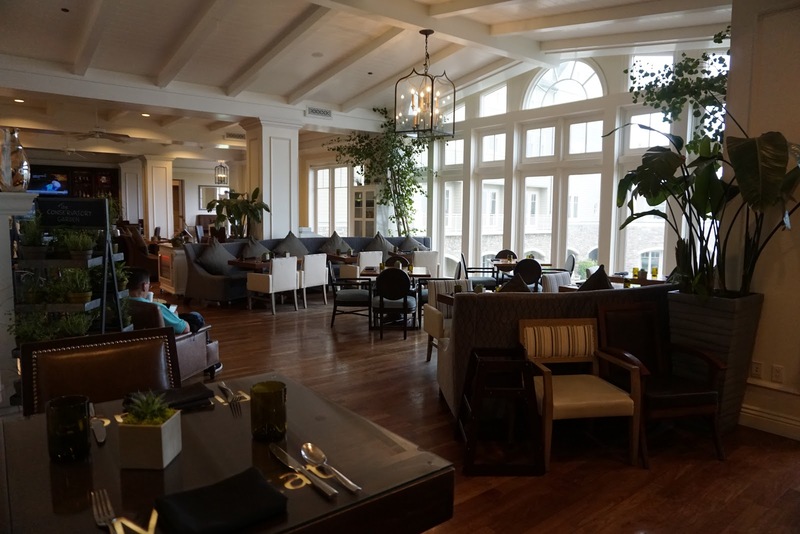 Club Lounge - The Ritz-Carlton Club offers private lounge access with a personal concierge staff and complimentary culinary presentations throughout the day. 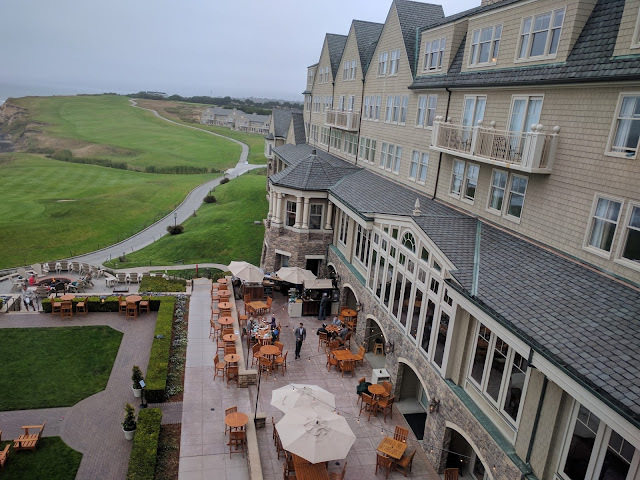 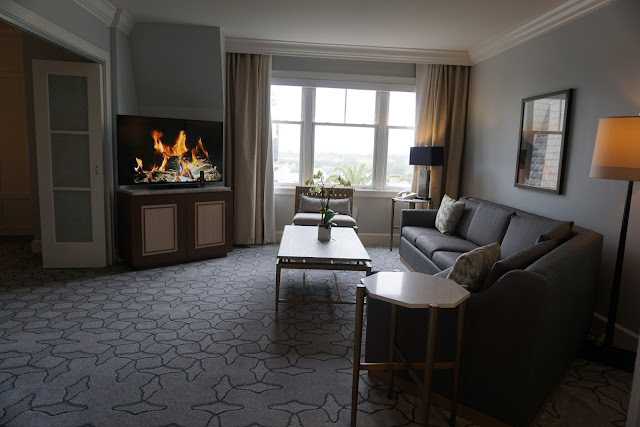 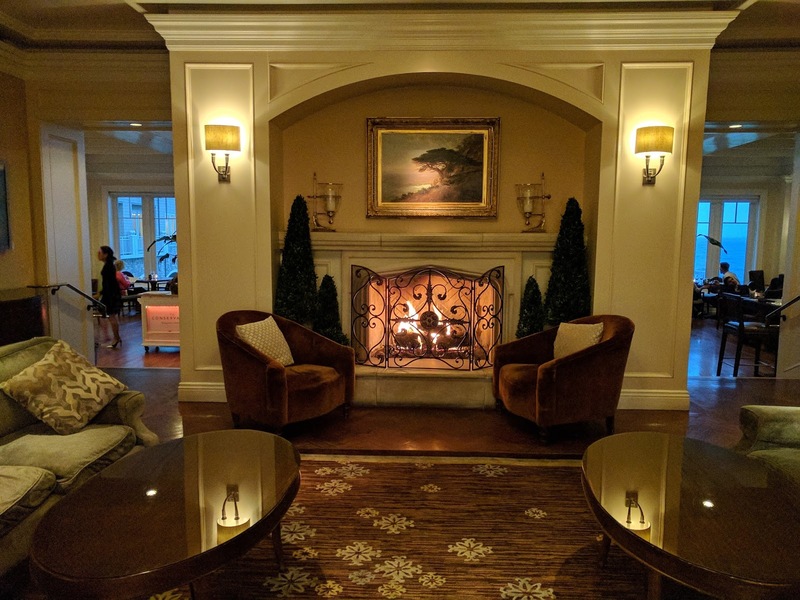 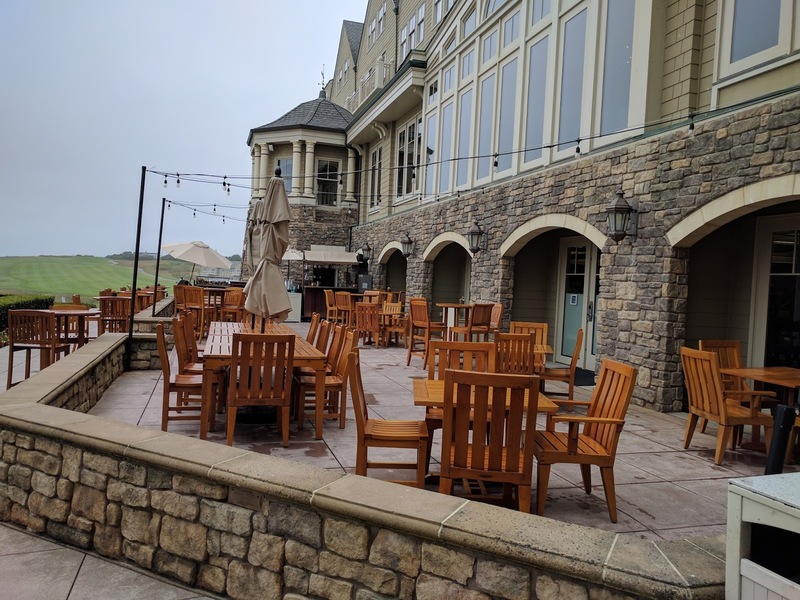 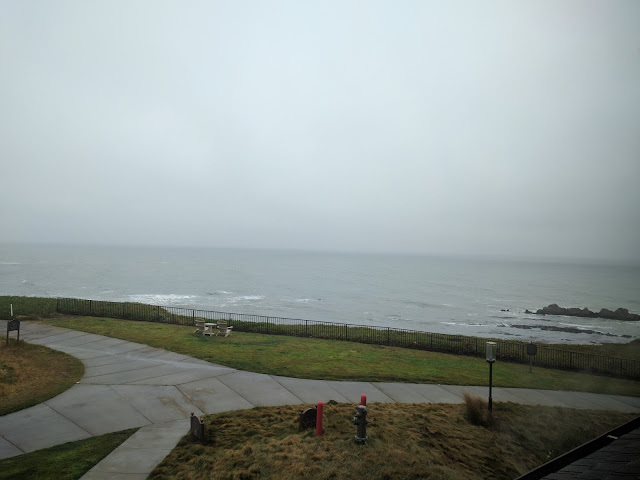 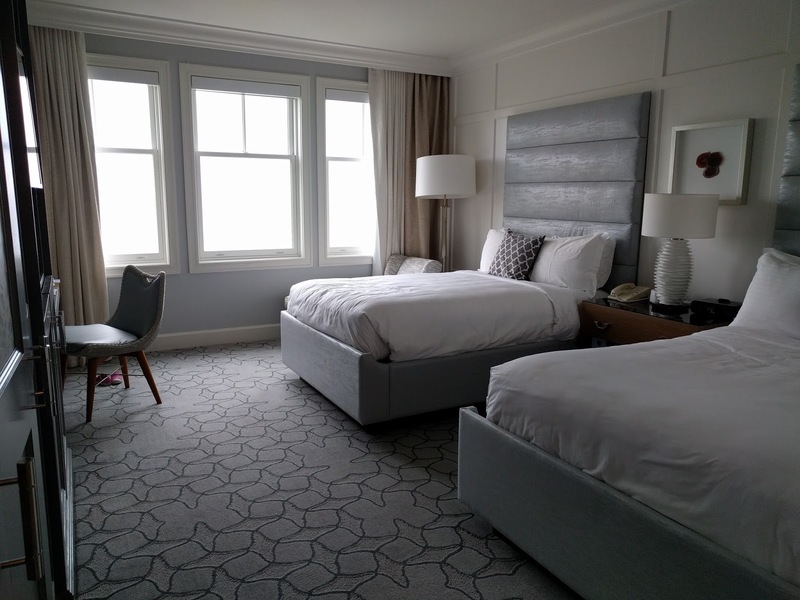 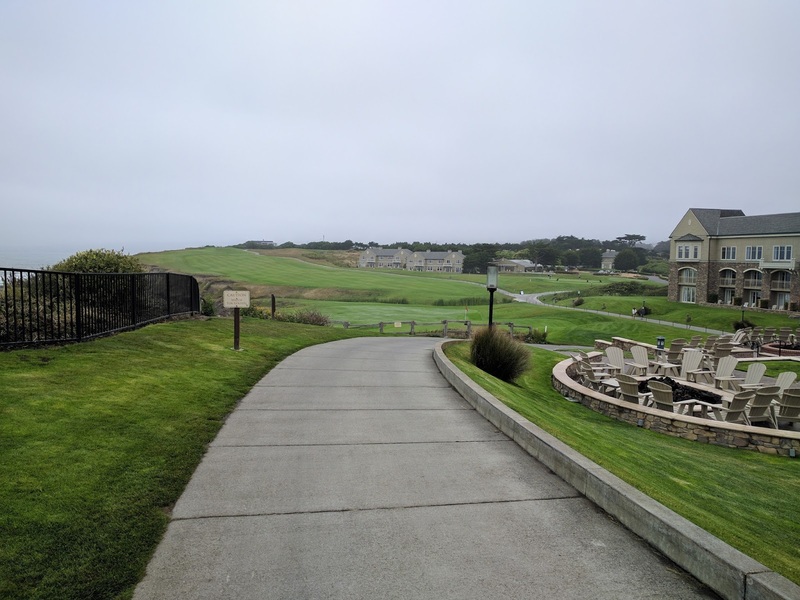 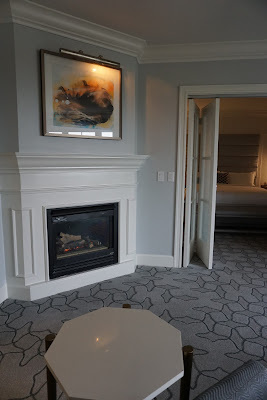 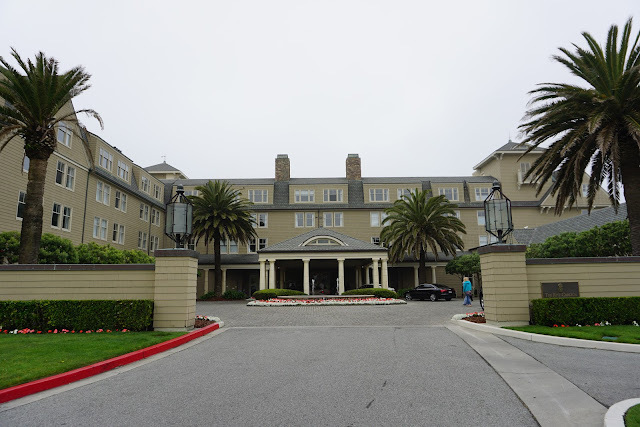 The Ritz Carlton Half Moon Bay is a stunning hotel with picturesque views and amenities and activities great for a family trip or couples getaway. 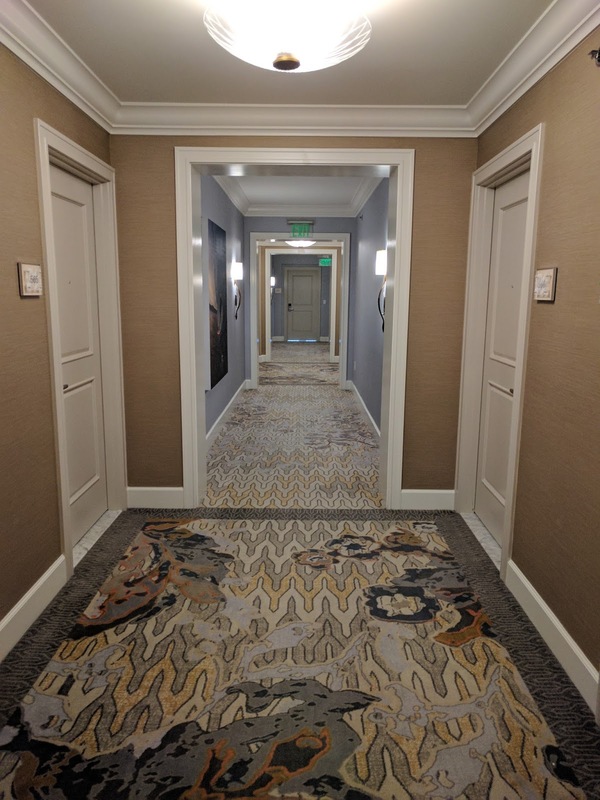 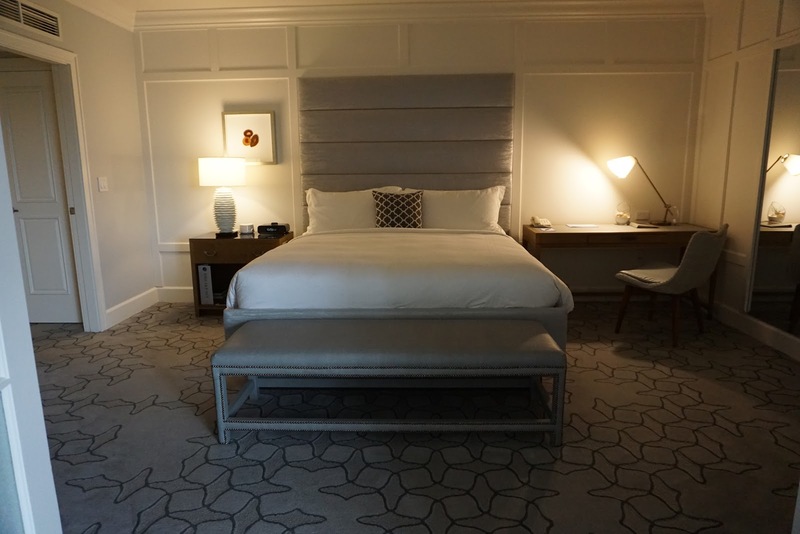 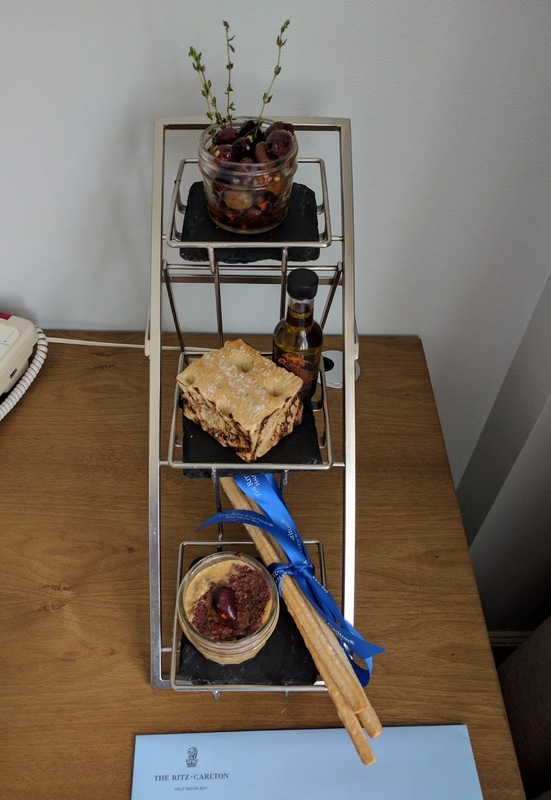 Everything from valet, check-in, welcome amenities, club lounge, dining choices and activities available here made our stay enjoyable and very memorable. We enjoyed our short stay at the hotel and look forward to visit again soon.